On my wedding day with my parents next to me, and my husband's parent's next to him. Their marriages have brought a radiant knowledge that love is possible, attainable, real. No matter what. As Shakespeare said, ""I love thee, I love but thee, with a love that shall not die; not till the sun grows cold and the stars grow old." I have been a lucky girl. To a large extent, I have always had a stream of truth near my path. Goodness, in many peoples and relationships, has made the way mostly smooth and clear. Providence has not eluded me. As I get older, I have particularly pondered more on the power of love stories in my life-- those who have been closest to me. As I have observed those real-life Valentine love stories, sometimes when hopes were dashed and money was scarce, I am thankful for their tenacious clinging on. They made love seem unconquerable, boundless. I have been a beneficiary of watching the daily beauty of real love in acton all my life. The people who I have known have allowed love to tether and strengthen them--to make seemingly ordinary people into extraordinary people. In every family there are hopefully innumerable love stories--tales of marriages and people who stand by one another in tough times. Sometimes they write their prescriptions or elaborations for their posterity. Other times family will lovingly retell the love stories again and again. Nonetheless, the love stories need to be gathered, written, and told--reminding our children and their children that love is possible in a world that can be uncertain or confusing. Love means: being loyal, kind, forgiving, faithful, and optimistic. It means you love--even when people get sick, injured, or the economy bottoms out like in the Depression. I have spent countless hours unraveling and documenting my husband's and my family's life histories. As a child, I was always pestering my grandmothers to tell me one more story--like the time when a gypsy stole my grandmother away, a beautiful little blonde-haired four year old Icelandic girl in Canada, at a busy train station. And how her older brother, Alec, saved the day (and her life), by showing her parents and a policeman where the conniving gypsy-woman had taken her. But of all the reservoirs of stories that I hold dear, it is the love stories that grab my heart the most. They have been my North Stars. H. Smith and Sarah Shumway had been friends in college, and then their friendship grew into romance. But it was World War II, and Smith wanted to go to war--putting on hold a medical career. Six weeks after landing on D-Day, Omaha Beach, in Normandy, France, Lieutenant Shumway was permanently blinded. 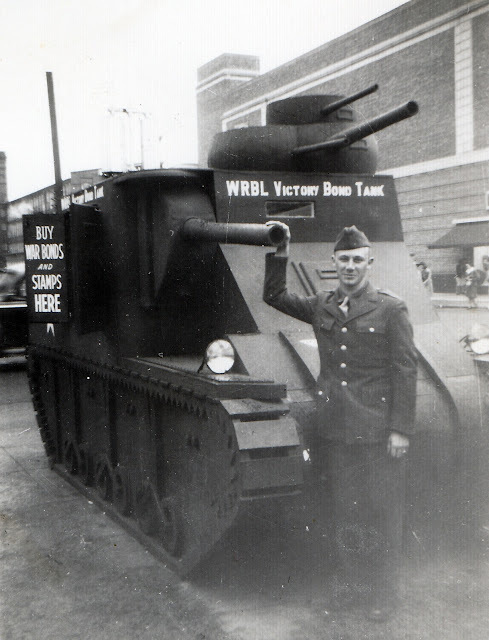 He was taken to a makeshift hospital in Normandy, on to England, and then for more hospitals and rehabilitation for the next two years in the US. But Sarah, back at home, never left hope. She learned Braille so the nurses wouldn't have to read the letters or "burn their fingers" with the" hot messages." 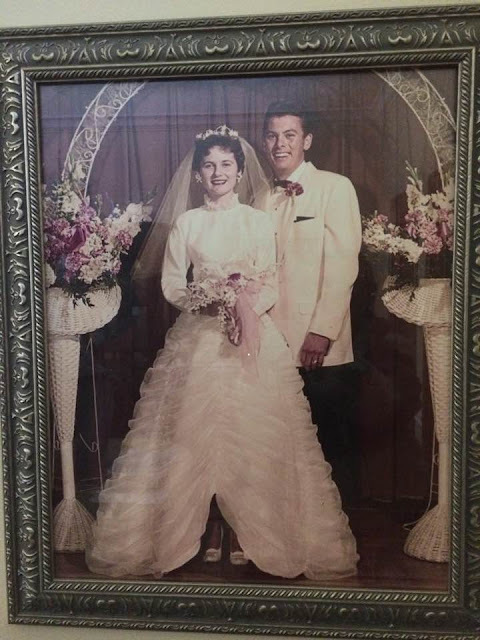 He asked her to marry him in 1947--much against her parent's wishes. But they finally acquiesced, seeing there was no hope to quench this love. He asked her to marry him by saying, "If you will drive the car, darn the socks, and read the mail, I will do the rest." Theirs was a love of always cherishing and seeing the best in one another. They continued to jitterbug, and hold one another dancing until Sarah died of cancer when she was 71. Since Smith enjoyed performing music in his later years, he supported Sarah in her oil painting--even though he never saw her artwork. Sometimes she would say to me, "He always thinks I am 22, just the way he last saw me." She would always find home projects for him, like tiling, painting, plumbing, etc. Since she grew up on a ranch, nothing deterred her from asking him to do things. And he did. He loved to please her--to make her happy. One of the things I always remember about them is that they were always laughing, discussing books together, and sharing what the other thought was important. Nothing, and I mean nothing, seemed too hard for them--if they did it together. 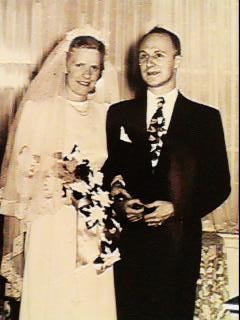 Smith and Sarah Shumway at their wedding reception in 1948. Six daughters and then twins at the end graced their lives. My husband, being their token son. They have 41 grandchildren, and host of great grandchildren. For the last year and a half of her life, I helped her revise, edit, and gather her life history. But Smith was the one who typed it for her first. I then read his drafts and composed her story, and of course their love story. For the last several years, I have had the daunting pleasure of helping to write my parent's life history. It will be three volumes. Yes, my father was a wordsmith, historian, storyteller. He loved to spin a tale, especially of the Depression, World War II, and about his Icelandic heritage. But his favorite story was meeting my mom. My mom and dad met on a blind date. My dad was hoping and praying to find a girl that would grace his life. He said, "As I sat in the Scera Theatre in Orem, Utah watching the movie Giant with Rock Hudson and Elizabeth Taylor, I looked over to your mom to hold her hand. I just knew instantly that she was the one for me. She had this quiet strength about her that made me feel like I could do anything." My mom, just 19, was up for the challenge. She had been "Miss Springville," her home town queen, and was known for her good nature and humor. My dad, a few people told me at his funeral, was the most handsome man at the time at BYU, his college. But there was so much more that they both saw in each other. 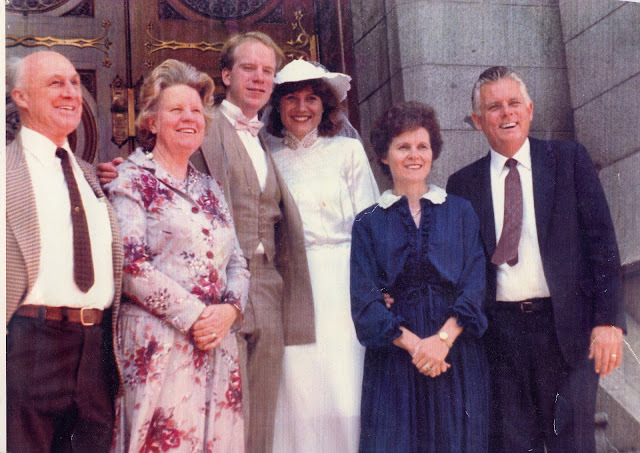 My dad had a larger than life personality who would become a great business and church leader. 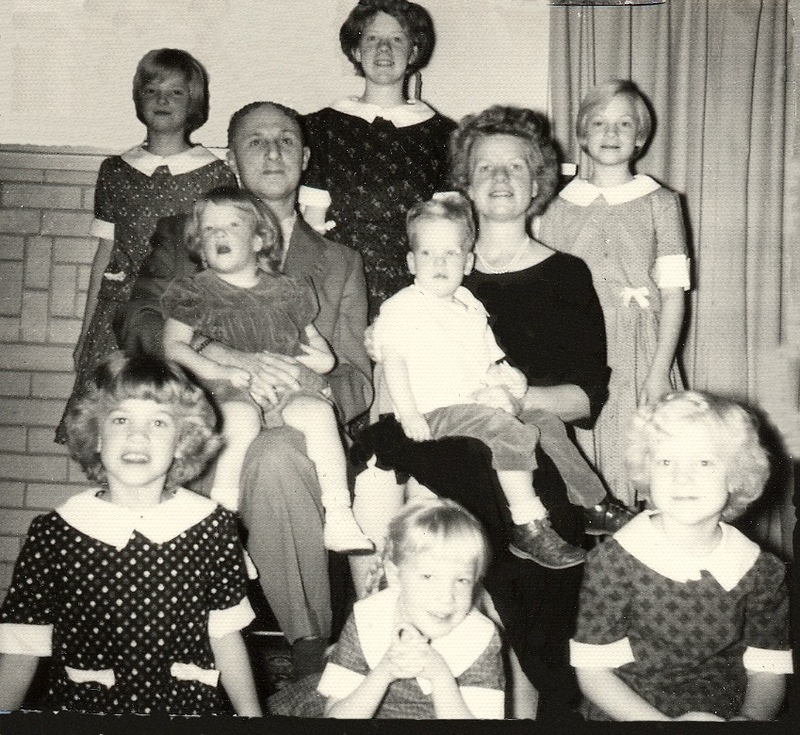 Mom became a mother of nine children and so far 54 grandkids. Everyone loves my mom. People have been cornering me since I was about eight to ask, "Does your mom ever get mad?" My father went through seven major surgeries in his life, mystifiying doctors of his stamina and resilience. He just kept popping up, like a cork, in the water. He could never be down for too long. You would never think he had fragile health if you saw him. But he did. His obstacles never detoured him. Mom, like the girl he saw when she was 18, had this steady, quiet resilience that never ebbed. Their main priority was their family. Last May when my father died on the night before we buried him, my mom said to us, "Dad and I gave up any ambition, activity, or hobby that competed with raising our children. We can see now that we didn't give up anything." It is important not to just know our DNA, but the people whose stories we were put in long ago. Gather your family histories and watch your heart grow with understanding and love. My parents on their 57th anniversary here in Doha on a dhow boat ride. My dad loved ships, and in a few minutes after this picture, he would get to steer the boat. Mom and Dad at one of our reunions. 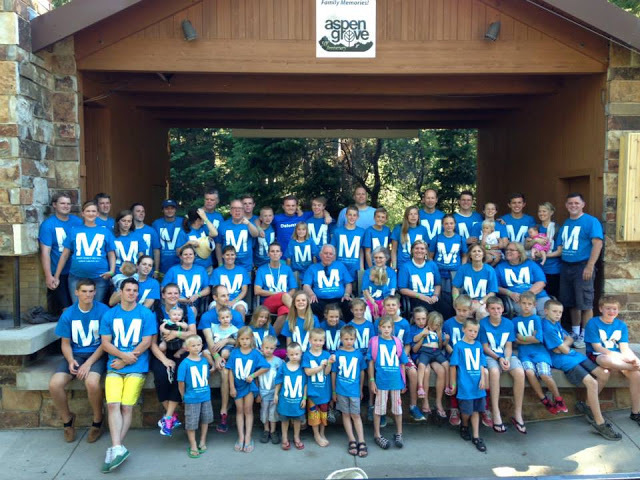 Since my last name is Myres, when my dad saw the "M" on the shirt, he said, "The M is not big enough. Ha! Marrakesh, is a place of unusual intrigue. I almost wouldn't be surprised to view a flying camel across the sky. Musical instruments were a plenty in the market. The beguiling entrance to Jemma el-Fraa, the largest and most famous market in Africa. You can find snake charmers, magicians, herb-sellers, mystics, storytellers, henna artists, and even "dentists" on the square ready to pull a tooth that needs removing. The real excitement happens when the sun goes down. The musicians come out in droves to sing, dance, and chant. Storytellers mesmerize with their ancient tales. You can catch wafts of tangines, spices, and citrus billowing in the air. Venders and craftsman sell their wares in the 18 overlapping "souqs" (markets). If you enter in the Medina (or old city), there is no end to the surprises. If ever there was a place to ride a magic carpet, it would be in Morocco. In Marrakesh, the fourth largest city, a rich history of French, Berber, Arabic, Jewish, and Northern Africa worlds collide. It is called "The Red City" or "Ochre City" because of the red palace and mosque walls. Europe, the Middle East, and Africa all intersect together here, like the beautiful motifs and designs in the ceramics and carpets displayed everywhere. The Atlas Mountains, with a mantle of snow covering them are easily seen; the Sub-Sahara desert is not far away. Palm groves, olive and citrus trees plentifully dot the valley where a river flows. For centuries it has been an important post of trade and commerce. Now Marrakesh celebrates the past and interweaves the modern. With its corridors and alleyways of artisans in the market, storytellers in the plaza, and with music and spices twirling around in the wind together, it is a place of endless discovery. As you dine on a rooftop or meander through the streets, you are allured by the craftsmanship everywhere. You enter into another world, and many other worlds--all at the same time when you explore the market. There are fabrics, carpets, yarns, leather, metalwork, ceramics, clay, woodworking that dazzle and enchant. It is a place where working with your hands is heralded. Artisans are making their wares right before you. Creativity obviously matters here. 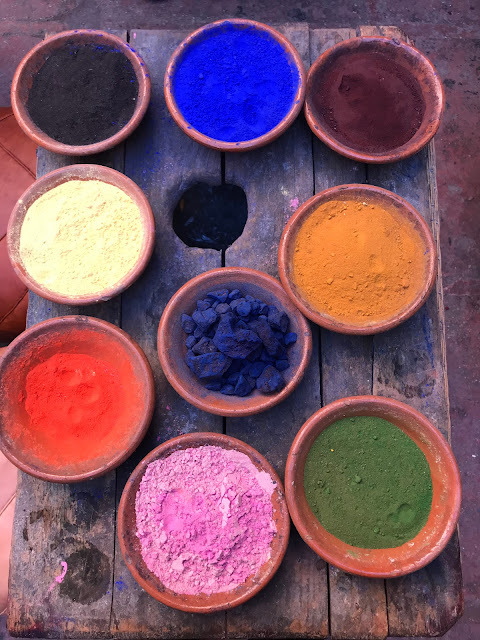 For the entire five days of being in Marrakesh, I saw a splendor and artistry in the handicrafts that made me want to go home to pound, paint and carve. In fact, my son with autism even noticed the creativity in the the air. He said when we got home, "I want to now make more things with my hands. 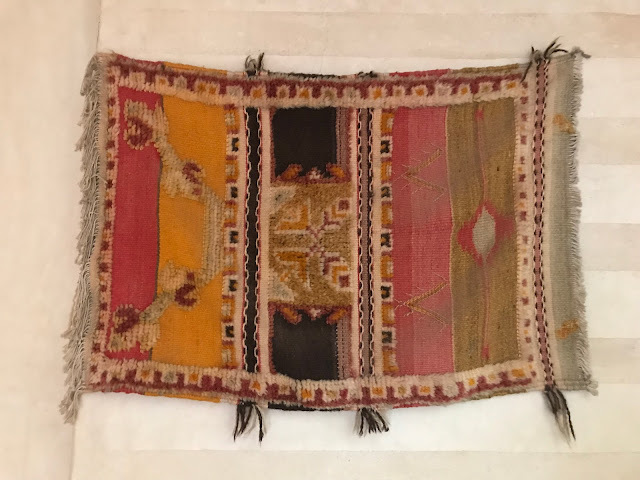 I want to make things like in Morocco. Let's do some carving NOW. I have plans!" If there seems to be an usually large amount of pictures in this post, this is true. Each area or "souq" could be a post. It is my hope that you can pretend for a few minutes you are in Marrakesh, on a camel or flying carpet, meandering in the market or many souqs. More than anything, I give tribute to the creative artisans who daily pick up their brush, hammer, knife, chisel, sewing machine, loom, potter's wheel, or anything else to create. I am in awe of their tenacious and steady desire to make beautiful things, whether if it is a simple lentil ladle or framed painting to admire. Each and every one were true artists to me. I was in awe and wonder every moment while in Marrakesh. In every section of the market, there was an introduction to the area--the history and people who made it be important. This is plaque at the entreat to the dying area. The knife sharpeners are particularly busy during Eid, after Ramadan, and some festivals, when people come to sharpen their knives. Which knife do you want to buy? A jewelry maker in the market who strings old Berber trading beads. 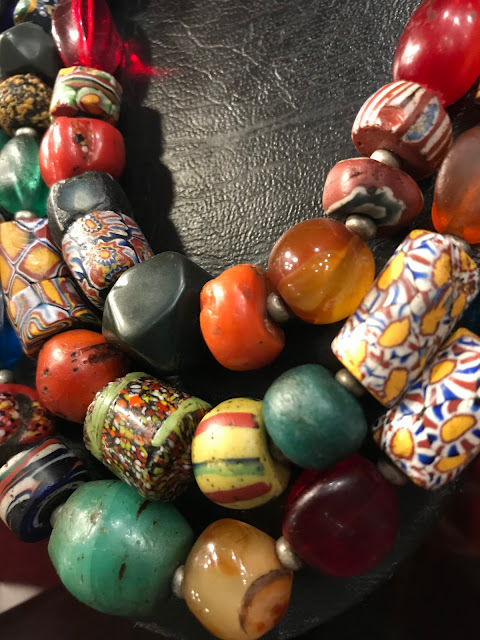 Old Berber beads (I prefer the smaller variety). Our friend, who (in the blue jacket) who is in a long line of coppersmiths for many generation, said, "I am the youngest of nine children. Everyone else never had an education. The only thing they know is to make beautiful things with copper." His story touched my heart because I am the oldest of nine children, like his brother who is pouring some mint tea for us. I like this Moroccan quote, "Let us sit bent, but talk straight." Everyone is always willing to sit down and speak with a stranger. My friend's brother showing us how does his coppersmithing. 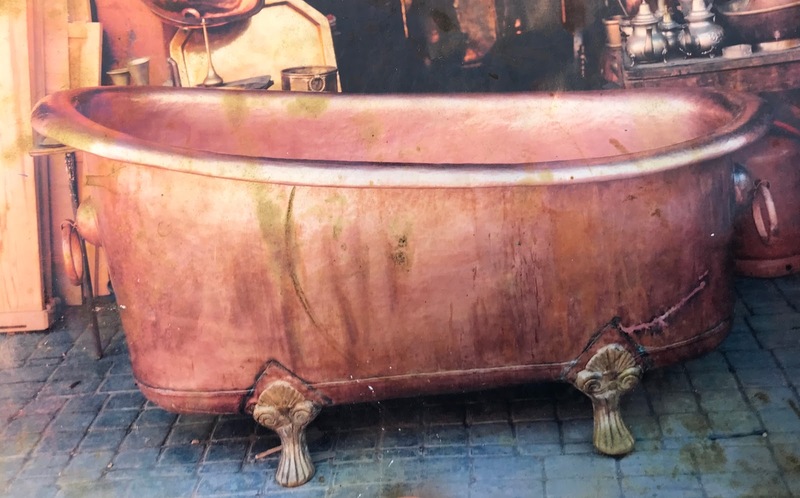 A copper sauna tub? The biggest pans you have ever seen? It seemed these men could make anything with copper. Sam looking at some tea pots. This beauty of a bathtub was going to a customer in the UK. 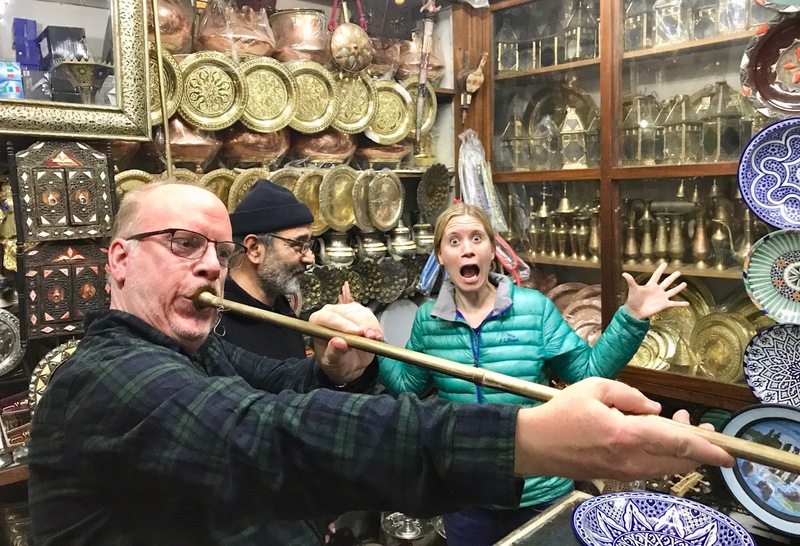 Moroccans have been telling stories in their marketplaces and homes for centuries--passing down the stories of "Aladdin and the Wonderful Lamp", "Ali Baba and the Forty Thieves, and 'The Fisherman and the Genie." One Moroccan saying says, "He is a good storyteller who can turn a man's ears into his eyes." The Jemma el-Fraa is a UNESCO Cultural Heritage site because of the centuries of storytellers and musicians who have performed here. The plaza lights up at night, with many people coming to be entertained, eat, and shop. Berber wall hangings, wool woven into an art piece were on many walls. Just another ordinary wall made more beautiful with paint around the market. Cutting out the the leather to make the large 'Puffs" to sit on. These metal lights, made with bronze and copper dazzle me every time. The Arabic designs punched into the metal glisten and shine on the walls and floors--bringing exquisite and ancient beauty to any room. Joseph pretending to be Indiana Jones. A young man from the mountains, he is a mixture of Berber and Arabic. He brings the baskets from the villages in the mountains that they women make. He was a savvy businessman, funny and colorful. He speaks Arabic, English, French, and Berber. An expert woodcarver who carves with his feet! This woodcarver who makes lades and other kitchen wares wanted to show his karate skills for the picture. He was a funny one! Giving a glaze to the most beautiful trunk I have ever seen, cut with different designs of wood and shell. My son-in-law, Sam, who was in his "hobby heaven" watching all the craftspeople. These are the patterns, made out of cardboard or leather, that are made for windows, mirrors, beds, dressers. This man was proud to show me all of his designs. Beautiful cut wood to put on furniture, windows, etc. A little boy playing on the tiles in a palace that was made in the 1200's in Marrakesh When was the last time you had fun playing with leaves? The tiles enchant me every time. This stairway makes you want to run up and down the stairs. Ha! The dazzling pottery with endless colors and shades. The pottery, with it its rich Arabic designs, are masterpieces, each and every one. The ceramics, with all of its Arabic designs and colors were a constant array of beauty. This is the area where everything is made of dyed wool. This man is making slippers. A rainbow of finished yarn to choose from. My knitter daughter was in heaven. These woven blankets are called "The Wedding Blankets." There you go! I just wanted to give you a short tour around "The Souqs" (or markets) in Marrakesh. Maybe you will now want to create somethings of beauty now.